In 2012, digital marketing made great strides that deepened its involvement in the healthcare industry. Now 2013 holds just as much promise for progress. In fact, the coming year is expected to integrate all of the data and insight gleaned from the past year as the curve of innovation sets marketers on an exciting new path for managing all aspects of healthcare. To offer a peek at the points driving this new digital health direction, Forbes.com compiled this list of leading influences. 1. A Technological Turning Point – Technology has become the means to transforming imagination into application. Now, digital innovation will be utilized more and more in healthcare as major companies and savvy start-ups strive to shape digital health into an industry of limitless possibilities. 2. The Climbing Costs of Healthcare – In healthcare today, rising need is matched by rising costs and both are expected to increase. Fortunately, technology and innovation are positioned to take healthcare in more efficient directions while guiding the patient on a path to health and self-care. 3. 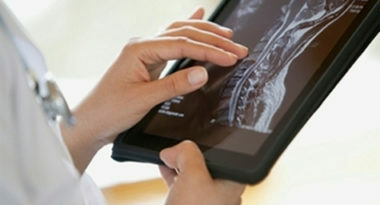 The Clout of Connection – The digital arena encourages the exchange of creative ideas and this spirit of collaboration and sense of connection will drive the digital healthcare movement even further. The expanding degree of connectivity between patients and caregivers will foster the acceptance of tele-medicine and the development of new technology will make interaction even more personally and clinically fulfilling. 4. Cool Rules – Technological innovation is universally considered “cool,” which will make the shift to digital healthcare seem “hip” and add an emotional appeal to a practical topic. Healthcare will eclipsed the act of taking medication and become an interactive lifestyle where the Web welcomes people to connect in like-minded communities and discover the latest in medicine and science. 5. The Power of the “Quantified Self” – Just as numbers measure our shopping and banking actions, numbers will now be used to quantify our health and wellness. Fortunately, the tools to measure key health parameters have been developed and are available in the mainstream marketplace. This will make it easy for people to stay proactively informed of their health status and potential problems. 6. The Evolution of the Pharmaceutical Industry – In 2013, the focus of pharmaceutical science will expand the definition of therapy to include gene therapy, preventative care, and other novel approaches. Pills will still play a role, but digital innovations will challenge the effectiveness of such conventional therapies. 7. The Rise of the Electronic Medical Record – Advances in technology and the mainstream use of big data in daily medical life will lead to the widespread acceptance of the electronic medical record system. 8. The Dollar as Driver – Money will be a major factor in the move toward innovation in 2013. The increasing role of venture capital in digital health has validated the field and brought global attention to the use of digital in healthcare. 9. Words of Wisdom – Respected contributors from the fields of medicine, science, analytics, and electronics will come together to share their knowledge of health and wellness in the digital arena. These expert minds will use their brilliance to enhance the power and perception of digital healthcare. MDG Advertising, a full-service advertising agency with offices in Boca Raton and New York, NY, is one of Florida’s top healthcare marketing companies, whose clients include Dental Care Alliance, MDVIP, Max Planck Florida Institute, and HCA East Florida. Our 360° approach uses just the right mix of traditional and digital marketing to reach your advertising goals. While some industries may fare better in print and others online, we strive to create a balanced approach, where traditional, social media, and digital marketing efforts support each other and your message is tailored to the medium. To stay on top of the latest trends in digital healthcare, contact MDG Advertising.